The Freelance History Writer welcomes Lisa Graves with an article about a medieval feast held during the Wars of the Roses in England. 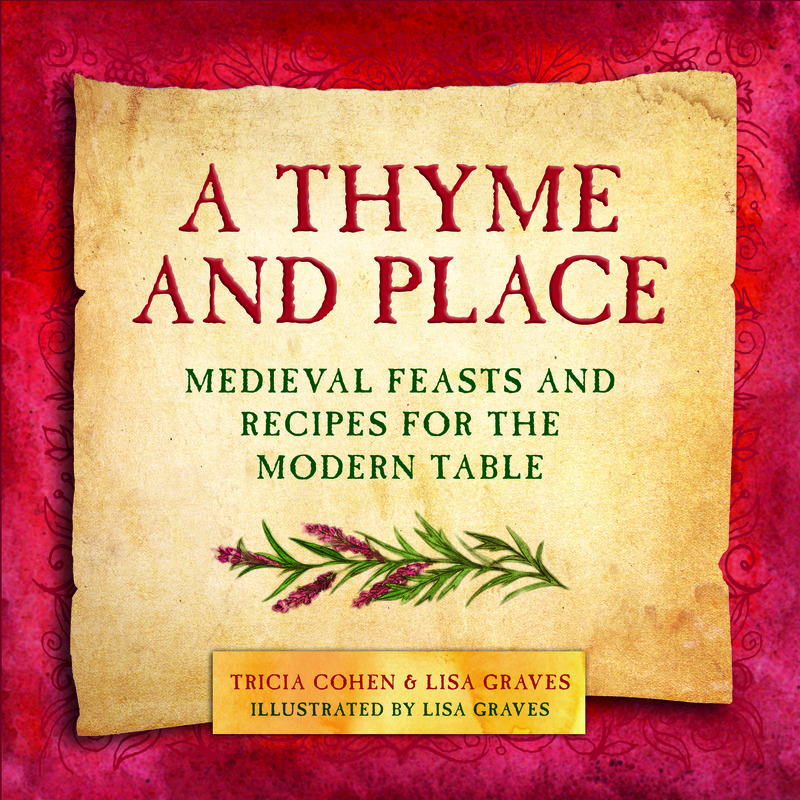 Lisa and her colleague Tricia Cohen are joint authors of “A Thyme and Place, Medieval Feasts and Recipes for the Modern Table”. 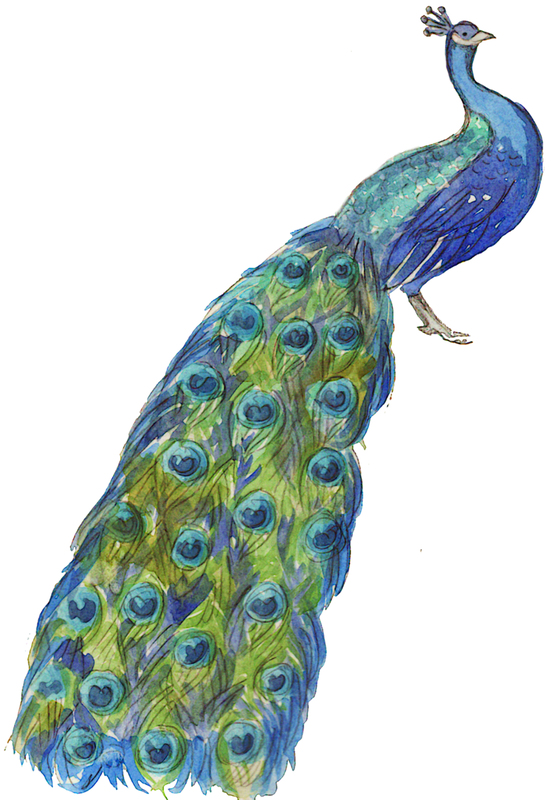 Lisa also did the illustrations for the book. When it comes to extravagant feasts, no one did it better than nobles in medieval times. Some celebrations lasted for days – or until the booze ran out. One such party was a days-long feast in September 1465, marking the installation of Archbishop Neville of York. Held at Cawood Castle, this feast went on and on and on, offering guests an unfathomable amount of food – hundreds and thousands of birds and beasts, including pigeons, chickens, peacocks, quails, pheasants, swans (yes, swans), partridges, oxen, pigs, sheep, bulls and calves. There were venison pies, tarts, breads, cakes, custards and more, washed down with ale and wine. It’s hard to comprehend the preparation involved, from hunting to cooking to serving, and difficult for those of us today to swallow the types of meat consumed – even porpoises! But the appointment of George Neville, bishop of Exeter, as archbishop called for something spectacular and with this array of food and drink, the hosts did not let down their 6,000 guests. After all, George Neville was rich and powerful, from an influential English family, and he sought to prove it with an indulgent display for the knights, abbots, clergy, esquires and ladies who came to dine. Born in 1432 to an earl and countess, Neville also was the Chancellor of England and the brother of Richard Neville, 16th Earl of Warwick known as “the kingmaker.” Among the guests at the archbishop’s enthronement feast were Richard III (then duke of Gloucester) and George’s niece Anne, who would marry one another. 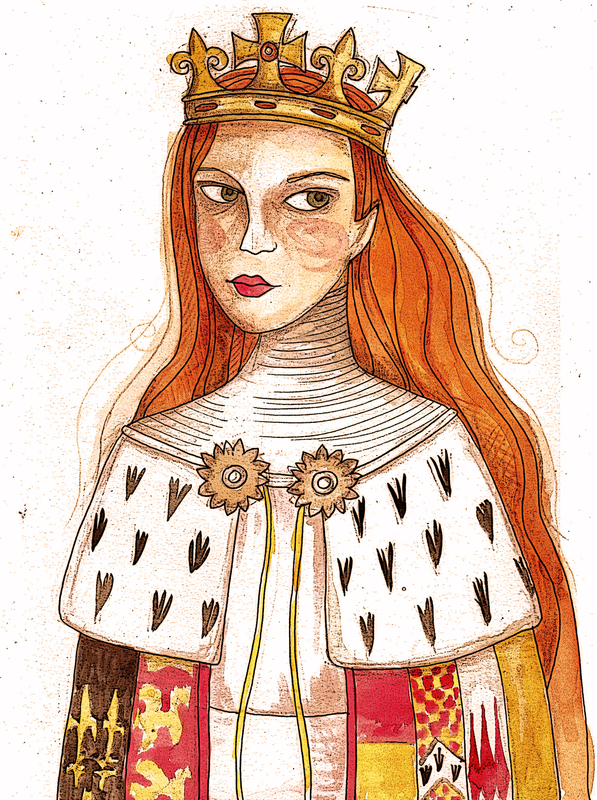 Richard would become the last king of the House of York. His death in a 1485 battle drew to a close the Middle Ages in England. 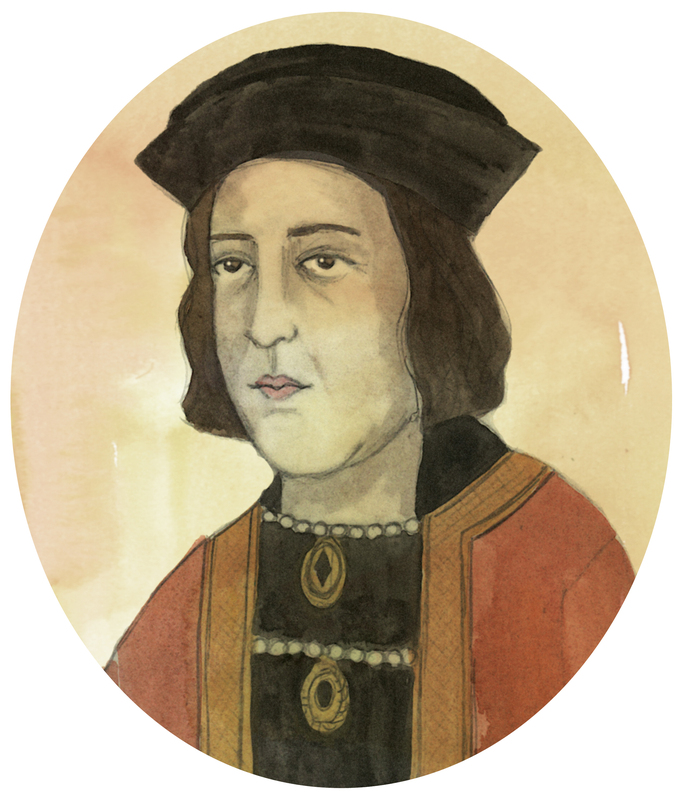 George presided over Anne’s wedding and that of his niece Isabel to the duke of Clarence, and within a few years he fell into disfavor with the House of York – so much so that, in 1471 at the pivotal Battle of Barnet in the War of the Roses, George was taken prisoner and his brother was killed. Alternately allied with Edward IV and Henry VI, George was pardoned and arrested again for treason before his death in 1476. In our book, A Thyme and Place, co-author Tricia Cohen and I included two modernized recipes to celebrate Archbishop Neville. We couldn’t imagine cooking swans, peacocks, or mallards, so we chose instead a lovely salmon dish we like to call “Swimming Against the Tide Salmon Pie” with a parsnip mash, and “Kingmaker’s Chicken,” a savory pie fit for a king or, uh, archbishop. Or both. Readers will find these recipes and more, along with stories behind other medieval calendar feasts such as Twelfth Night, Plough Monday, Hocktide, May Day, and St. Swithin’s Day. My deceased husband was a descendant of this George Neville (Archbishop of York, sometimes Chancellor of England, brother of the Kingmaker), thru George’s daughter Alice Tunstall. I doubt he ever knew about this, that makes him related to all the kings and Queens of Europe. He is so close in description: A scholar, a partier who loved the biggest feast. He seemed to have been born with the knowledge of authors and books, and we had 16,000 in the house. The illustrations look beautiful, and it sounds like a fascinating read! I love the concept of this book! My husband and I are involved with our home Renaissance Festival and these recipes intrigue me. I look forward to reading the book, trying recipes and enjoying the beautiful illustrations! As a chef with a history degree, I love this stuff! Wonderful post, and this book looks like a great resource. I have the old Madeline Pelner cookbook Fabulous Feasts: Medieval Cookery and Ceremony, and this sounds like it would make an interesting companion. It must have been fun to research! sounds like an interesting book and the description of the ‘feast’ is almost unimaginable. This is really interesting, and what a lovely sounding book. I would imagine it includes lots of interesting snippets as well as recipes.